Luke the Explorer. Always in search of something new to do. I took an egg carton and let him find things around the house that would fit inside the egg holes. 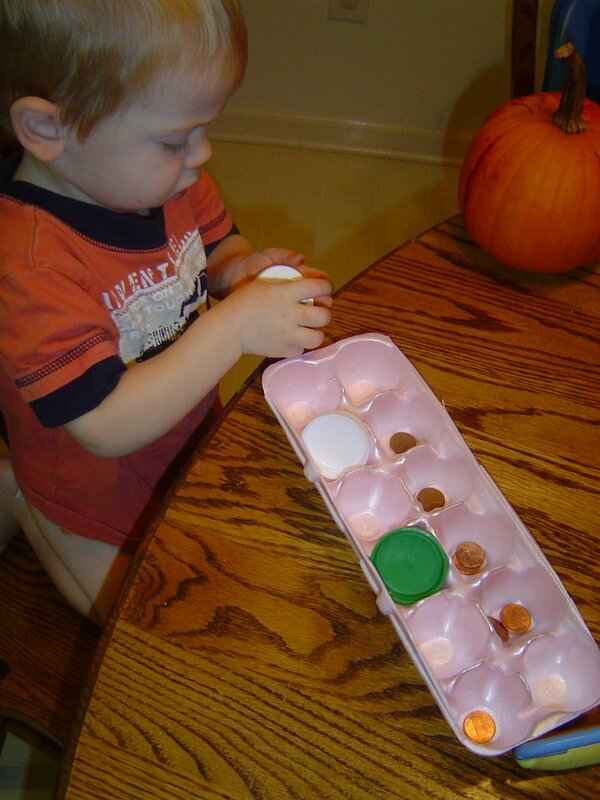 He found lots of pennies in the couch and a few juice tops I’ve saved for future crafts. He later found some lint, toys, beans, and legos to put in the carton. 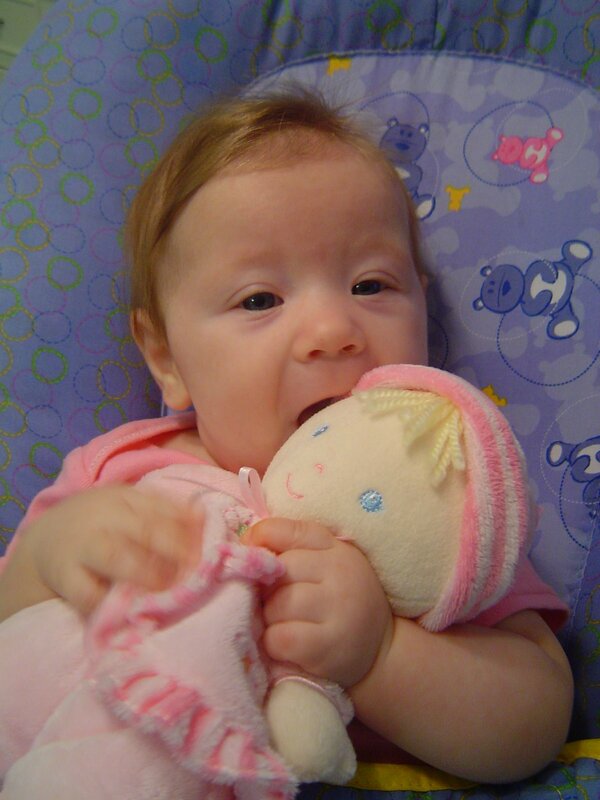 Abigail is slowly getting attached to her doll. Thanks, Peggy, for giving this doll to her. It’s nice to have a girly item around the house! YOU ARE SO CREATIVE IN FINDING THINGS FOR YOUR KIDS TO DO, YOU’RE A GREAT MOM, YOU WERE MADE FOR THE JOB.